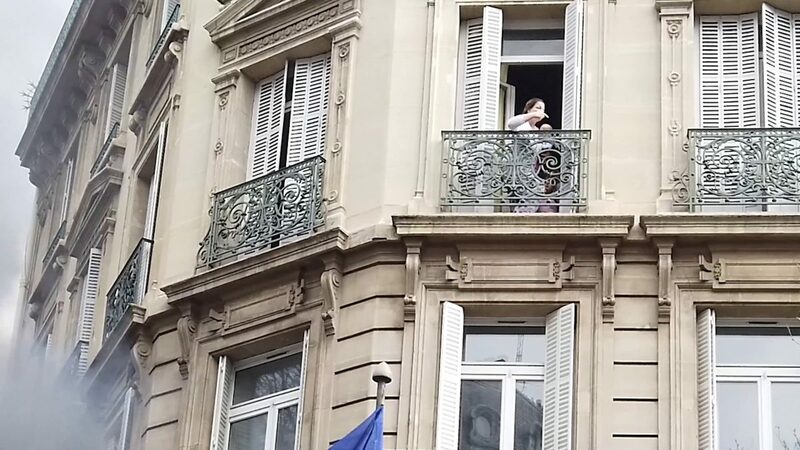 This is the horrific moment a mum holding her young baby screamed from a second floor window of a burning building set alight by ‘yellow vest’ protesters in Paris. 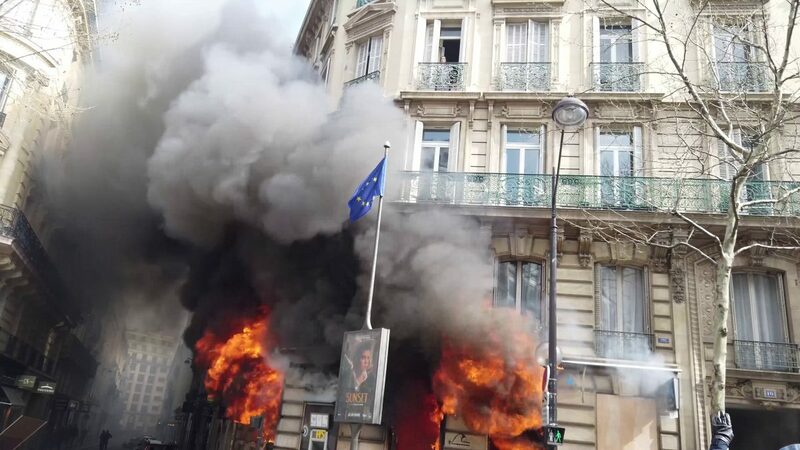 Local sources said the protesters – known as the gilets jaunes – targeted the banking agency Banque Tarneaud, which was directly beneath the trapped woman’s home. 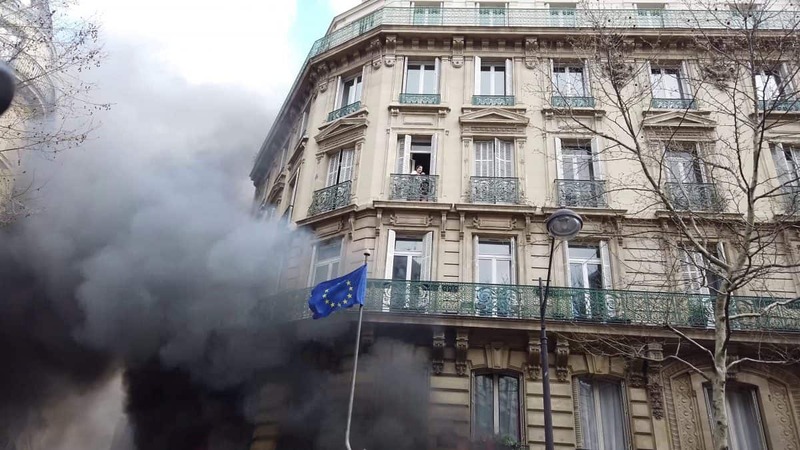 A shocking video shows her screaming for help as the flames lick up the building, near the Champs-Elysées, Paris, on Saturday (March 16). Panicked bystanders can be seen pleading with the petrified woman and her nine-month-old baby to try to make an escape. Armed police and fire fighters can be seen desperately trying to rescue her. The woman, a mum-of-four, is understood to have been rescued to safety by the emergency services. Angered by tax rises, riotous protesters known as ‘yellow vests’ have caused trouble across Paris for months. Armed police have clashed with the yellow vests, who first began violent demonstrations four months ago. 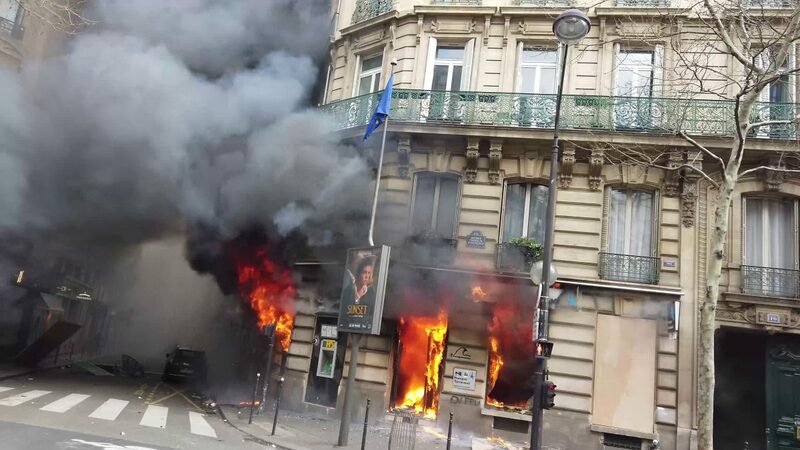 The video, which shows a scene of total destruction, was filmed by a journalist at Paris’ Line Press network.